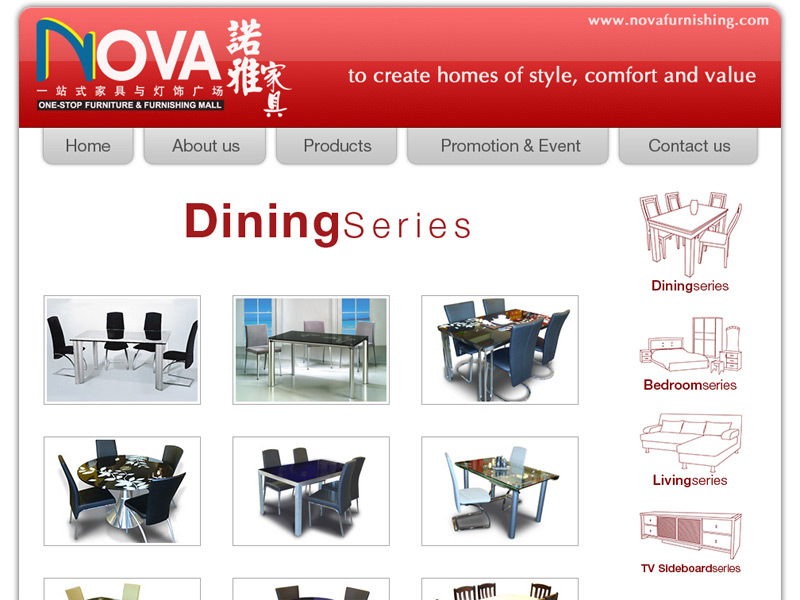 In the highly competitive marketplace of furniture mega-retailers, Nova has successfully established itself as well-known brand name by offering premier quality products at affordable prices. 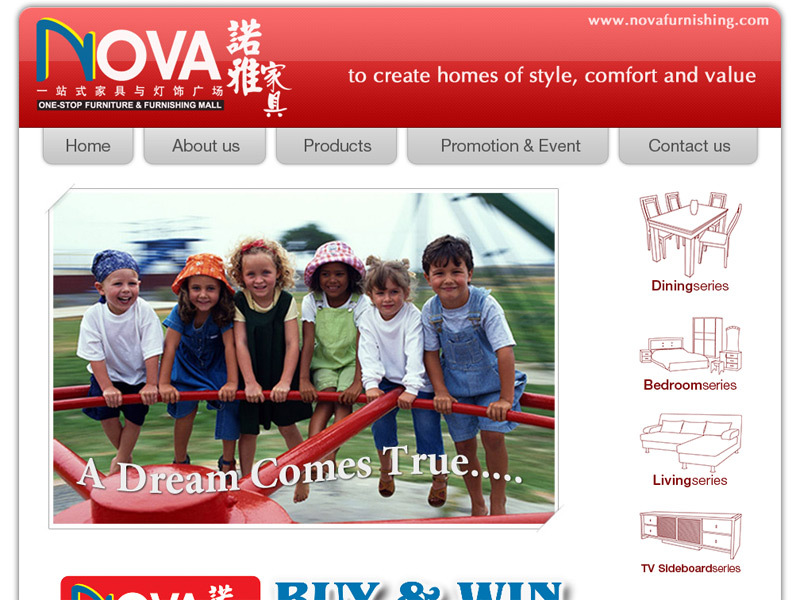 In keeping with the company's brand image and marketing philosophy, our web design displays a clean and neat layout, highly user-friendly navigation, and easy access to information. The consumer's focus is drawn towards the attractiveness of each product, especially since there is little clutter or redundant information to jostle for his attention. 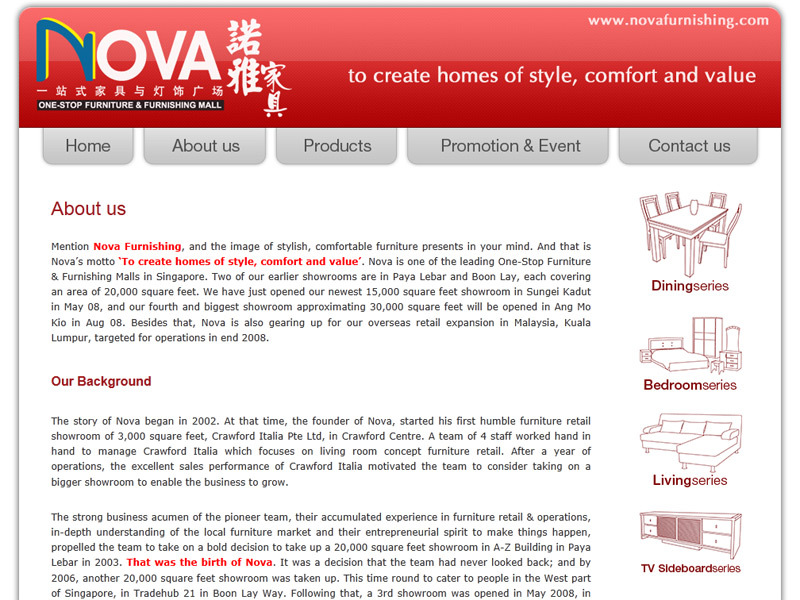 The net result is a website that will arouse consumers' interest in Nova's products, and draw them into making a visit to the nearest showroom to make a purchase.